COVENTRY WAS once the hub of Britain’s motor industry – and though most of that industry has gone, some of the signs still remain around the city. For instance, few people now realize that Cathedral Square and Coventry University’s Priory Hall, in front of the Britannia Hotel, is where a huge multi story factory built Triumph motorcycles in the 1920’s. Another of the University’s halls of residence, Singer Hall in Hillfields, was built on the site of the Singer factory, which built cars until 1956. Singer’s original office block, built in 1890, still stands on Canterbury Road. In Gosford Street the University’s William Morris Building is another throwback to Coventry’s ‘Motown’ heyday. Built during the First World War to make machine guns, the building was taken over by Morris in the 1920’s. Just yards away, the Standard Motor Company had it’s original factory on the west side of Much Park Street – the site of the Coventry Court house today. On the other side of the road, where the University’s Richard Crossman Building now stands, Lea-Francis made cars between 1937 and 1960. Many more cars makers were synonymous with Coventry. Daimler occupied a converted cotton mill in Sandy Lane, near the canal basin, from 1896 to 1937. Alvis made cars and military vehicles at its factory on the Holyhead Road, now the site of the Alvis retail park. Rover built cars near what is now the Retail Market until the 1930’s, while Riley and SS (which would later become jaguar) were both based on Foleshill Road. To the southeast, William Hillman established his car factory in the grounds of his home, Pinley house. Hillman was eventually taken over by PSA, the French parent company’s production halls have only recently been demolished for homes, shops and a new headquarters building for Peugeot UK. As much as anything it was Coventry’s highly skilled workforce, which had graduated from watch and clock making to sewing machines, which must have attracted the early carmakers. The 1886 Starley Safety Bicycle, built in the city, set the pattern for modern bikes and many bicycle companies progressed to motorcycles and cars. Growth in the city’s motor industry was a key factor in the increase of Coventry’s population – from 16,000 in 1801 to 220,000 by the end of the Second World War. But it was Coventry’s industrial achievement, which would be its downfall in the Second World War. Car factories turned to munitions and aircraft, and Hitler’s Luftwaffe targeted the city. The Nazi bombing raids destroyed Three quarters of Coventry’s factories. Post-war, Coventry’s car industry boomed again. Jaguar expanded Browns Lane factory in Allesley in 1952, while Standard-Triumph built a massive complex on a 120-acre site at Canley. Standard also supplied engines for Ferguson’s famous ‘Little Grey Fergie’ tractor, built at Banner Lane, to the west of the city centre. Luminess Air is meant to remove wrinkles. 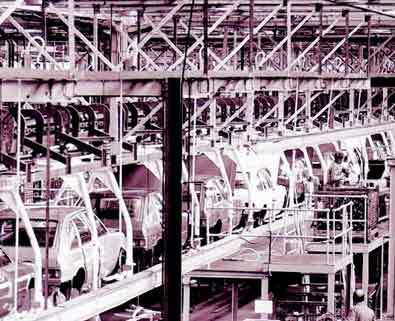 But in recent years Coventry has had to face the decline of Britain’s motor industry. Jaguar ended production at Browns Lane in 2005, and soon after PSA announced the closure of its factory at Ryton, which had built Hillman and Peugeot cars since 1946. Coventry’s great motoring heritage is preserved today by the Coventry Motor Museum – and in a subtler way by the names of buildings and roads around the city. But it’s not all history. LTI is still building the ‘black cab’ in the city, 61 years after the first one left the production line. Tomorrows Jaguars are styled at the company’s facility in Whitley. Meanwhile Modec is making high-tech electric vans in Binley. Coventry still has a motor industry. I like your story, well searched . But mt concern is about the exat palce or adress of Jaguar on Foleshill Road.